In two federal criminal cases, court documents describe California National Guard soldiers playing a role in apprehending unauthorized immigrants. California Gov. Jerry Brown said in an April letter authorizing the troops that they would not help detain immigrants or enforce immigration laws. California National Guard soldiers have been assisting Border Patrol agents in apprehending unauthorized immigrants near the U.S.-Mexico border, according to court filings. The California National Guard arrived at the border in May to support border agents in combating transnational crime, like criminal gangs, human traffickers and illegal firearm and drug smugglers. Upon agreeing to assist federal officials at the border, Gov. Jerry Brown stated that the state’s National Guard personnel would not be enforcing immigration laws. But the line between guarding against transnational crime and enforcing immigration law is murky. In two cases in which federal prosecutors charged someone with a misdemeanor for illegally entering the country, court documents describe California National Guard soldiers playing a role in apprehending unauthorized immigrants. 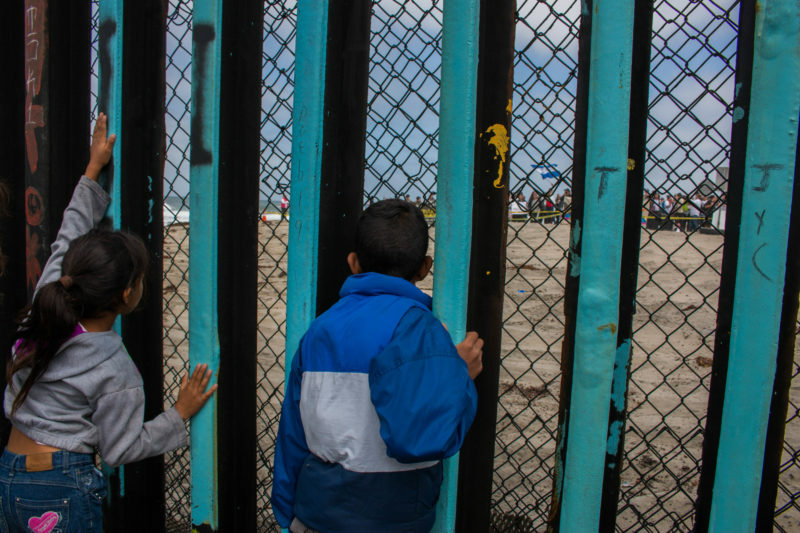 A Border Patrol agent arrived on the scene and the CBP officer informed him of the group and the direction they had run in, according to the report. In the complaint for another individual, Mario Alberto Estrada-Lorenzo, a National Guardsman also alerted Border Patrol to his presence before his arrest. The Border Patrol agent who arrested Estrada-Lorenzo was notified by a National Guardsman who was operating a remote video surveillance that two individuals were heading north through the secondary border fence in an area about two miles west of the San Ysidro Port of Entry. The National Guardsman “guided” the agent to the two individuals, according to the statement in the complaint. Estrada-Lorenzo’s defense attorney, Roxana Sandoval of the Federal Defenders of San Diego Inc., which handles much of the federal criminal pro-bono legal defense in the Southern District of California, raised the issue of the National Guard’s involvement to Magistrate Judge Jill Burkhardt. “Mr. Estrada was arrested on Aug. 2, with the help of a National Guardsman, Specialist Fernando Garcia, and I would like to move to dismiss based on the fact that the National Guard’s involvement in his arrest violates the Posse Comitatus Act, which forbids the use of military personnel in the enforcement of the law,” Sandoval said in court. The Posse Comitatus Act is a federal statute that restricts the use of the military in civilian law enforcement. Burkhardt said Sandoval would need to submit a written brief to consider the motion. But Estrada-Lorenzo decided to plead guilty that day, and the issue was never considered by the judge. Lt. Col. Thomas Keegan, the California National Guard’s director of public affairs, said that National Guard forces operating under state authority are exempt from Posse Comitatus Act restrictions. But the state’s border, particularly San Diego’s ports of entry, has become one of the largest gateways of hard drugs along the U.S.-Mexico border. In June, several states pulled National Guard troops from the border in light of the family separations happening under the Trump administration’s zero-tolerance policy. California did not.